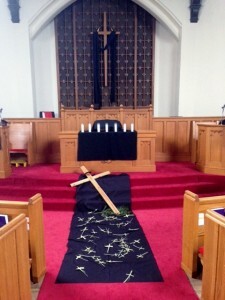 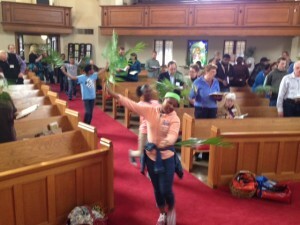 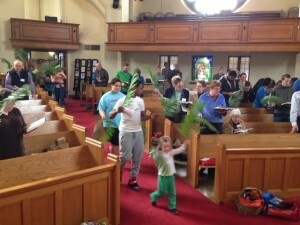 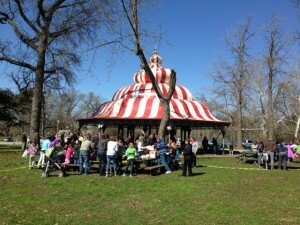 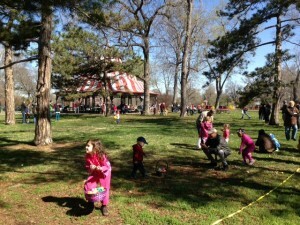 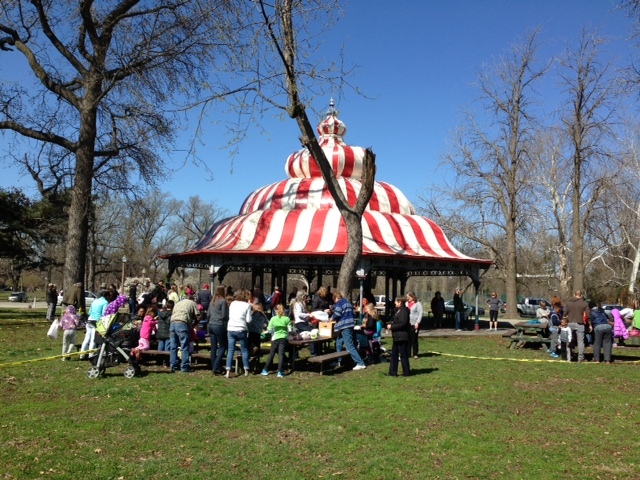 Take a look back at Holy Week at Oak Hill! 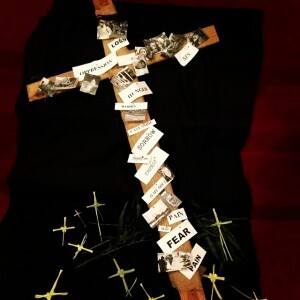 At Good Friday worship, we pinned words, names, and images to this cross. 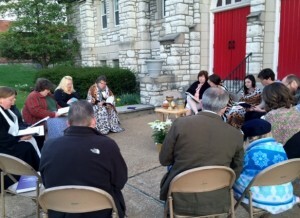 Easter Sunrise Service out front! 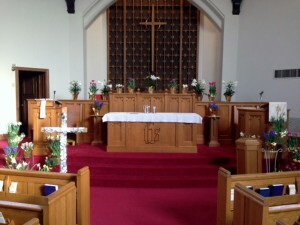 The sanctuary before anyone arrived. 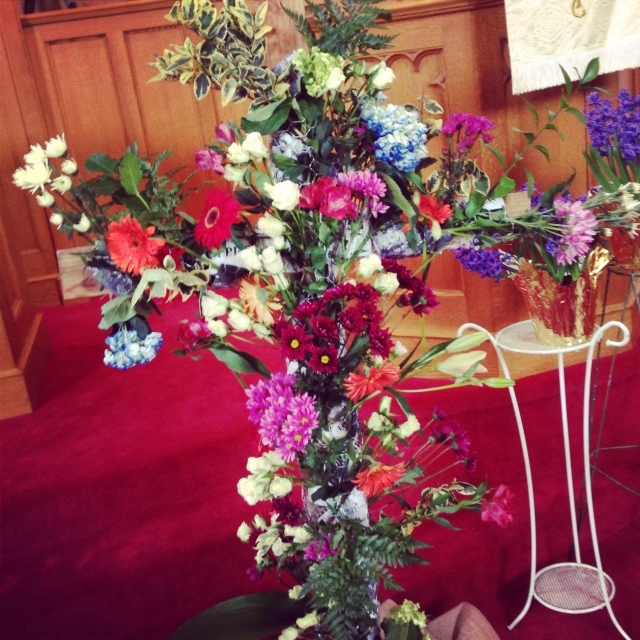 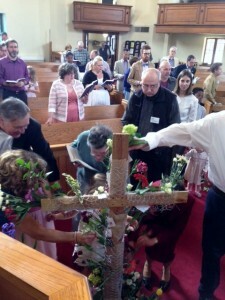 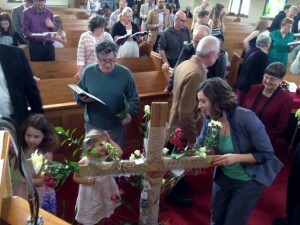 Flowering that same Good Friday cross, filling it with new life, during worship. 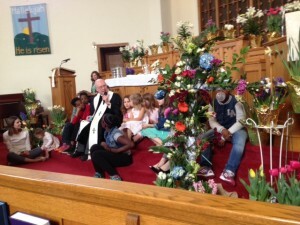 Dr. Alan giving the Easter Children’s message.